ASIAN FOOT OR HAND MASSAGE / REFLEXOLOGY, LISBON - Terra Heal "wellness & health"
The Asian Foot massage can be THAI or CHINESE is specialized in the promotion of a feeling of wellness through an ancient inspired healing process called Asian reflexology. 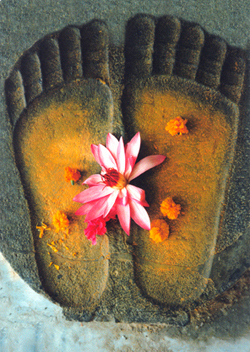 After some warming up techniques, stretching and manual massage of the feet, are stimulated some specific acupressure points on the feet/hands, which corresponds to significant organs within the body. The Asian Reflexology stimulates the immune system and the lymphatic drainage, improves the blood circulation in the feet, legs and hands, eliminates toxins from the body, reduces the fatigue and the tension. This holistic sense of calmness and good health is achieved through the balancing of both physical and emotional stress. Asian inspired reflexology is a gentle form of massage through reflex points on your feet/hands. We primarily concentrate on the 36 best known reflex points on the soles of your feet / hands. Each of these points correspond to critical body regions such as your organs and the gentle application of pressure through massage, assists in the restoration of the normal functioning of these vital body organs. The Traditional Thai foot massage utilizes a rounded wooden stick-like apparatus to pinpoint specific reflex points and allow differing massage pressures throughout the treatment. Although Asian reflexology is not a cure for serious disorders, it is a very effective means of re-balancing or stimulating specific body areas to help relax and normalize all of your bodily functions. It can stimulate under active organs or lessen the activity of overactive sites. You will see first-hand how it relaxes and relieves tension and stress, which are major causes of illness and disease. Your massage expert is able to assist in the improvement of circulation, unblocking and increasing energy flows, releasing toxins from your skin, stimulating your immune system and totally relaxing you - all by gently massaging and manipulating your feet REGULARLY. Throughout the world Asian reflexology is regarded as a wonderfully complimentary treatment for chronic disease as well as injury and pain management. You will notice a sense of restoration and revitalization as energy flows are released and tension is dissolved. In a world where we rush from one appointment to another, where stress seems to be a way of life, the ancient art of Asian Foot Massage could be your answer to relaxation, good health and well-being.